Did you know that Apple co-founder Steve Jobs hated Android, Google's mobile operating system? I mean, really, really hated Android. How about the fact that the Apple II's design was inspired by a kitchen appliance and that Jobs never truly respected Microsoft co-founder Bill Gates as an innovator? That's just a taste of some of the interesting things about Jobs that are packed into the book Steve Jobs by noted biographer Walter Isaacson. 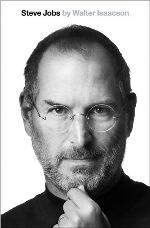 Steve Jobs by Walter Isaacson is available for pre-order on Amazon and Barnes and Noble for $18 and tops the each store's bestsellers lists. CBS' 60 minutes will broadcast an interview with Isaacson about Jobs on Sunday.